Find out why many companies choose headsets and speakerphones from Jabra. The world's leading e-commerce company offers a 24-hour hotline service throughout the year and is highly dependant on the comfort, quality and noise-canceling capability of the Jabra headsets. CEVA Logistics, one of the world’s leading supply chain companies, provides customers with effective and robust supply chain solutions in contract logistics, freight management and ground transport, alone or in combination. One of the top call center outsourcers in Japan knows the importance of giving a good impression from the very first word and uses Jabra BIZ 2400 with their Avaya IP phone system. Global Tele Sales Brno provides customer service support for Lufthansa and other airlines. The 200 customer service employees spend most of their time on the phone with customers, so they needed reliable headsets to deliver superior call quality. Transcom houses 30,000 customer experience specialists in 70 contact centers across 27 countries and services over 400 international brands in various industry verticals. Management consultancy with 3500 employees in 26 locations worldwide improves work efficiency with Jabra and Microsoft Lync. In close collaboration with Cisco, Jabra headsets make a sound case for the Danish engineering company that supplies integrated solutions for the measurement and analysis of sound and vibration. The IT department at Cisco benefits from the high quality of Jabra headsets when receiving hundreds of calls each day from co-workers worldwide in need of technical support. The right equipment ensures higher employee well-being, improved citizen service and optimized processes. Northern Europe’s best Airport in 2012 experiences that Microsoft® Lync™ and Jabra move their telephony into the 21st century. The global software company Netformx connects with customers in more than 75 countries via Cisco Unified Communications and Jabra wireless headsets. Ergonomic design earns the approval of call center employees at one of the country’s large insurance companies. Windsor Foods, a brand leader in frozen foods increased productivity with Jabra headsets and Microsoft Lync. Jabra puts travel company Trailfinders on track with new wireless headsets increasing mobility and productivity. Global managed services provider obtains improved call clarity and customer engagement while lowering equipment costs. Bank of Communications (BoCom) in China uses Jabra headsets with their Avaya call center platform to increase productivity and improve service delivery. Commercial bank enhances customer service, optimizes productivity and reduces total cost of operations. Handling millions of inbound and outbound calls every day in a busy conctact center requires reliable headsets and crystal clear call clarity. Kingdee International Software Group operates 108 branch offices around the globe and the call center staff is protected from getting ear pain and mental distraction by using Jabra BIZ 2400 headsets. Maximum service life and minimum maintenance costs were crucial to the insurer Liverpool Victoria, when rolling out more than 4000 Jabra BIZ 2400. Insurance group reports higher customer satisfaction, improved productivity and longer equipment longevity. Leading bank experiences great comfort which secures healthy work environment. German retailer chose Jabra for their Turkey based call center after testing thoroughly. Being a big mail order retailer with a very busy call center, battery life of the Jabra PRO 9450 was a decisive factor for Nissen. Prague-based Olympus Support Center obtains considerable savings by lowering call time with Jabra wireless headsets. The Finnish provider of technical products and solution gets value for money with Jabra headsets. To improve critical life-saving communications, the Prague Fire Brigade uses Jabra headsets for reliable call clarity in their emergency call center. Full mobility and excellent sound secure that no detail from any call or message is lost in large emergency center. Higher employee well-being, great sound, fewer replacements, lower costs and excellent service. Reduced turnover and improved working conditions for more than 2000 call center agents . When it comes to reducing offi ce noise levels, one concern is the noise stemming from conversations, and this is where the Noise Guide excels. While providing advice and supporting the public, quality contact center equipment is essential. Move to Jabra headsets delivers highest quality audio experience for Russell Investments Group.After thorough testing of different headsets, the Jabra solutions stood out as more comfortableand consistently more reliable than any of the competitive products. After looking at a variety of solutions, the IT team selected Jabra because our wide range of solutions from the Jabra BIZ 2400 series to the Jabra PRO 9400 series provides headsets for a variety of needs. When introducing integrated telephone equipment throughout the entire Bitburger Brewery Group, the German company opted for Jabra’s professional audio solutions. Municipality invests in quality UC solution with Microsoft Lync using Jabra SPEAK and Jabra BIZ 2400. The Danish Chamber of Commerce has realized significant time savings by using Jabra Xpress to consistently deploy new firmware based settings and updates on all of their 230 employees’ headsets, at the same time, on a consistent basis, at the click of a button. Swedish security company chose Jabra UC Voice and Jabra SPEAK for their Lync adventure. With Jabra and Microsoft Lync the Architecture/Design company bring their employees around the globe together. Being able to join meetings no matter location is a big improvement of communication among the staff members of a 600-years old university in Belgium. All thanks to Microsoft Lync and Jabra headsets. Global law firm deployed Microsoft Lync and switched to Jabra headsets. 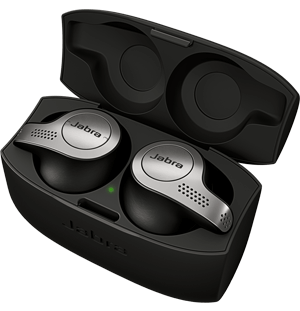 To facilitate the remote rollout of software, firmware and settings, Jabra Xpress was used. Lightweight Jabra headsets and a Microsoft UC solution eliminated the use of desk phones in Energy and Utilities company. Jobs are now easier and teams are far more productive at South-Wales based not-for-profit housing organization. IT services company went from a "Bring Your Own Headset" strategy to standardizing on high quality Jabra products rolled out via Jabra Xpress. 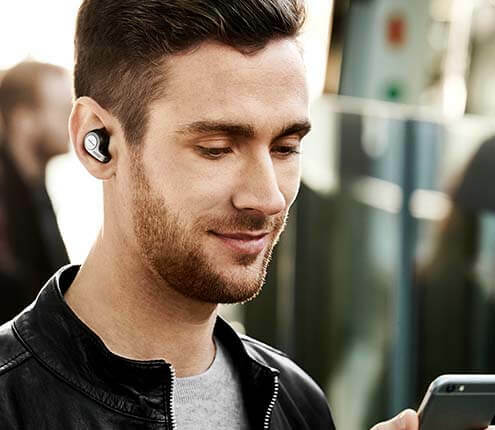 Global safety science company, UL, selects a suite of Jabra products to ease collaboration across offices in 40 countries. Maintain high quality of service and realize the benefits of the latest technological and environ-mental enhancements.